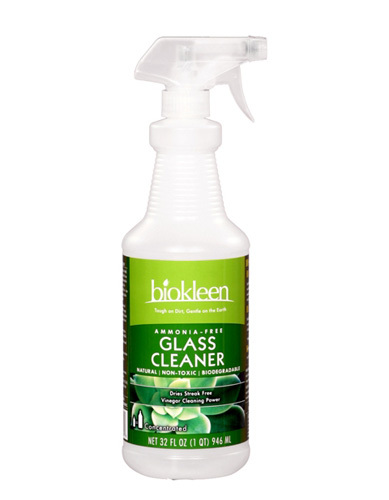 BioKleen glass cleaner is not only ammonia and streak free, but is practically odorless. With vinegar power and natural soil lifters, it easily dissolves dirt, pollution, smoke, grease and more from shiny hard surfaces. Safe for Automobile Windshield Washer Reservoirs.